Screening Info for Parents - Capital Area Speech & O.T. Developmental screenings, including vision, hearing, speech and motor screenings, are a way to check to see if your child’s development is on track. Screenings are a very effective way to identify possible risk factors for a vision or hearing problem, speech and/or language delay, or motor/sensory disorder. Research shows us the sooner difficulties are identified and the sooner a child receives help, the better the outcome. 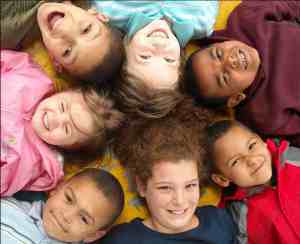 Wondering how your child’s development compares to other children their same age? Wondering if your child has the necessary skills to be successful in school? Screenings can answer these questions. 1.Screenings are conducted by Speech Language Pathologists and Occupational Therapists either at school or in our clinic. 3.If a concern is noted during the screening at school, parents will be contacted. 4.The screening will not diagnose anything. Screenings are a way to identify possible signs or symptoms of vision, hearing, speech, language, and or motor difficulties. If a concern is noted the parent will be encouraged to seek a professional evaluation. This may include a referral to an ophthalmologist, ENT (otolaryngologist), Neurologist, Developmental Pediatrician, Audiologist, Speech Language Pathologist, Occupational Therapist etc. 6. SCREENINGS ARE NOT THE SAME AS AN EVALUATION. EVALUATIONS INVOLVE ADMINISTRATION OF STANDARDIZED TESTING. SCREENINGS ARE A PROFESSIONAL OPINION AS TO WHETHER AN EVALUATION IS NEEDED. In-Office Screenings: Call us to schedule. Would you like to request a screening be provided at your child’s school?